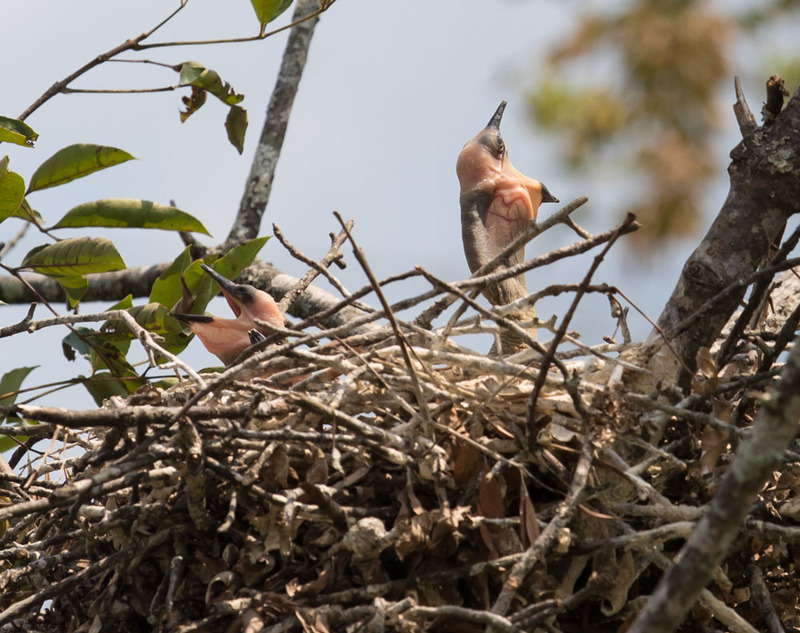 A three-chick brood of anhingas beg for food in Prince George County, Virginia. Anhinga chicks have a huge gape for begging. Photo by Bryan Watts. 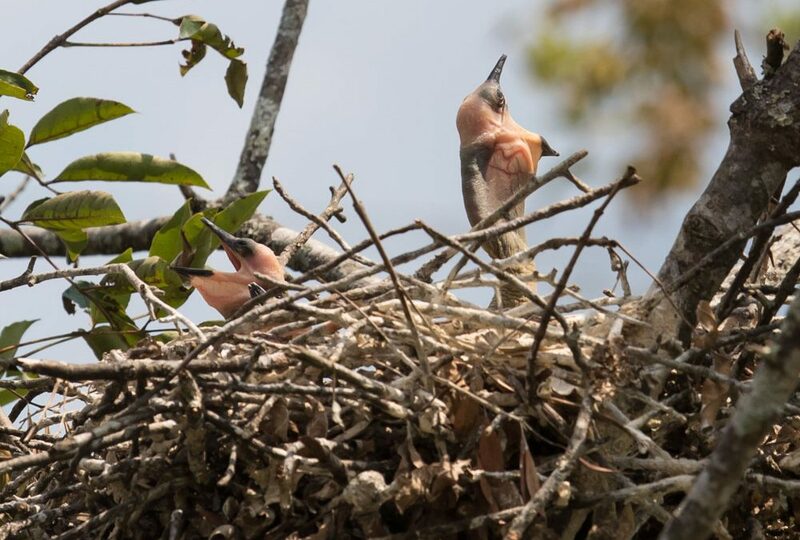 During the summer of 2018, CCB biologists conducted a three-day, cursory search for anhinga breeding locations that resulted in the location of six breeding sites, including fifteen active nests scattered across five jurisdictions in coastal Virginia. 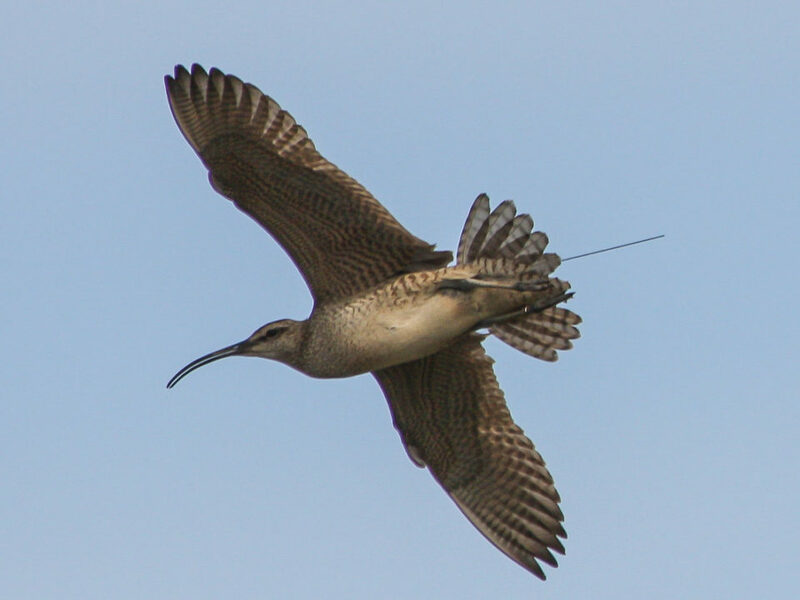 Although these do not represent the first breeding records for the state, their number and distribution clearly demonstrate that the species is well-established as a breeding species in Virginia. 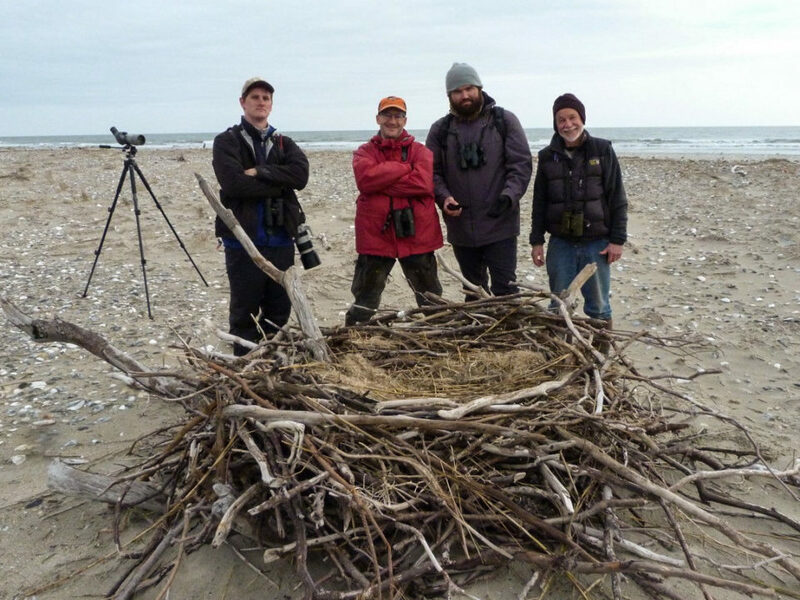 The nest site located in Charles City County is now the northernmost breeding area known throughout the species range. Anhingas appear to be rapidly expanding their breeding range to the north. 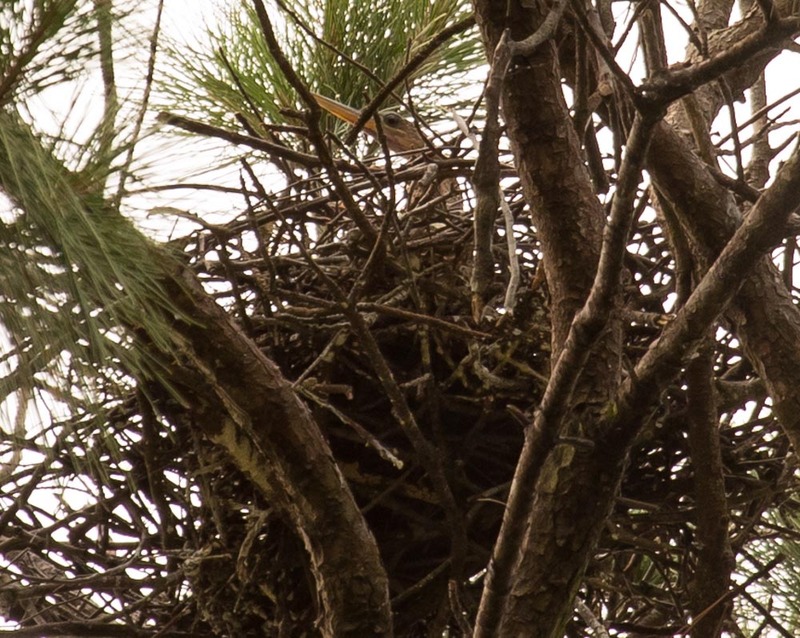 Since the discovery of a nesting site in the late 1800s on Orton Pond near Wilmington, North Carolina has been the northern range limit for breeding in the species. During the 1930s, a wave of anhingas apparently moved north into North Carolina and nesting sites were documented within several counties. In more recent decades, breeding has expanded north toward the NC/VA border. Since 2010, sightings of anhingas in Virginia have increased dramatically. Dave Youker documented single breeding attempts in 2009 and again in 2017. Both of these attempts were on Harwoods Mill Reservoir in York County. 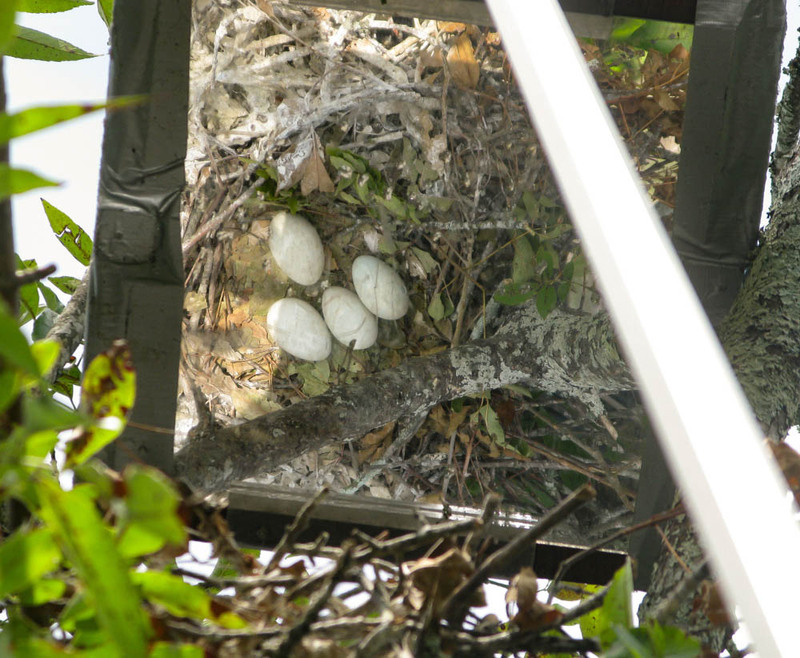 A four-egg anhinga clutch observed using an extendable mirror pole. Unlike the herons and egrets that nest in Virginia, anhingas line their nests with hardwood leaves. Photo by Bryan Watts. 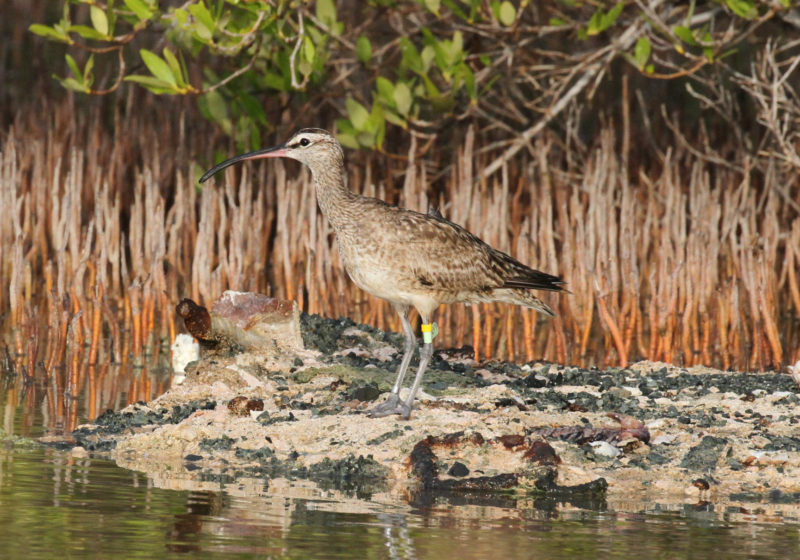 Given the significant number of sightings made during the breeding season, it has been difficult to ignore the likelihood that breeding is more widespread than that single known location. 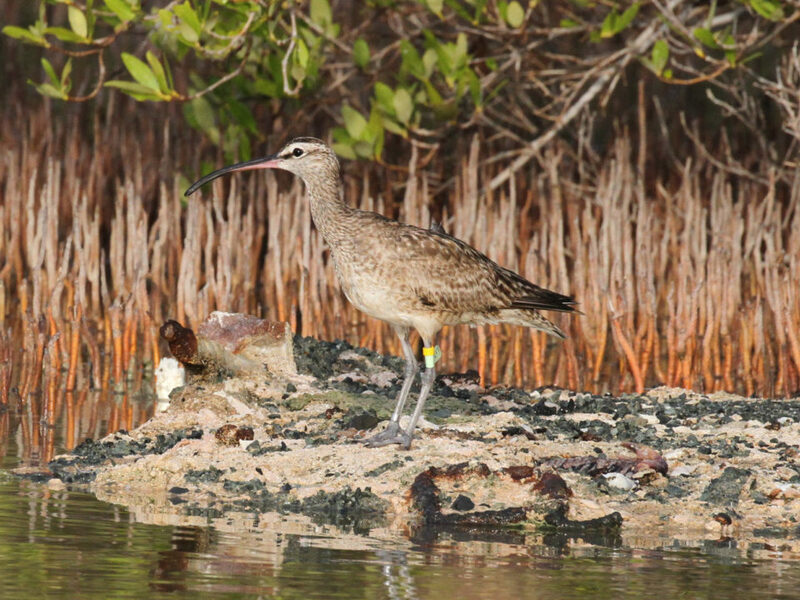 During the summer of 2018, CCB biologists decided to explore several locations that support habitat suitable for breeding in an attempt to better understand current distribution. Thirteen sites were surveyed including the Harwoods Mill Reservoir site. 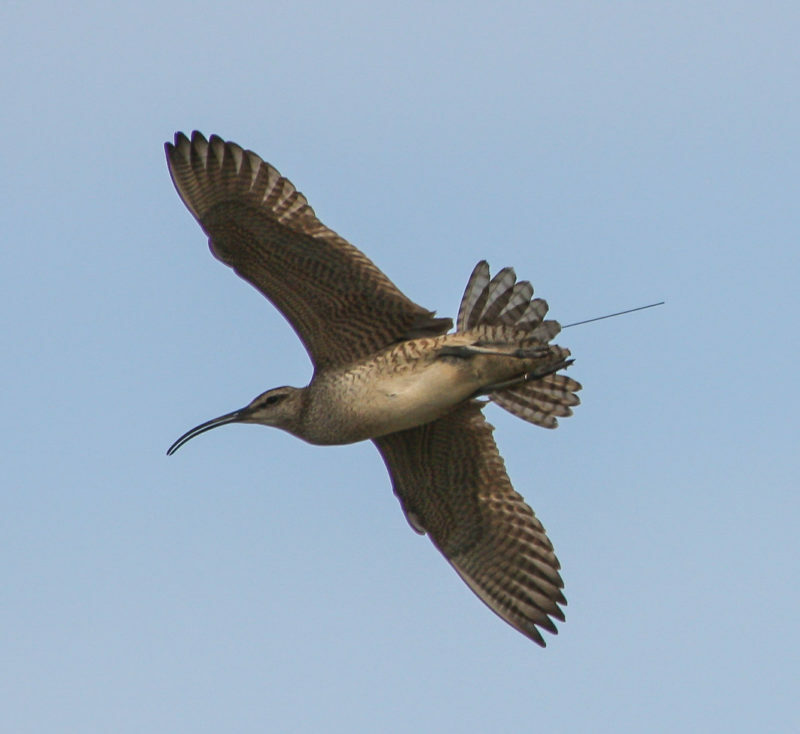 Although no breeding was documented on Harwoods Mill in 2018, active nests were found within six of the remaining twelve sites. 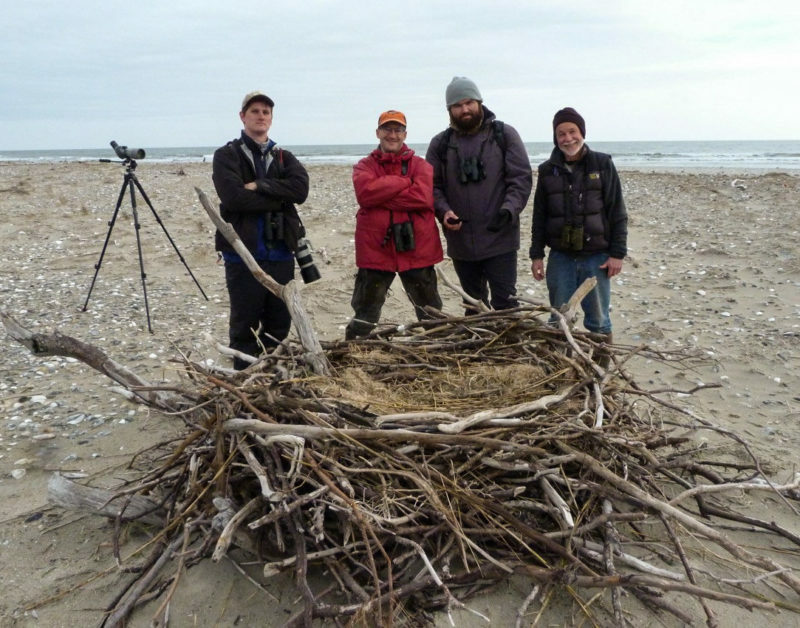 All nests included either eggs or young. Occupied sites were found within five jurisdictions scattered throughout southeastern Virginia, including Virginia Beach City and the counties of Isle of Wight, Prince George, York, and Charles City. Female anhinga incubating on a nest in York County, Virginia. Photo by Bryan Watts. Southeastern Virginia supports a large number of sites with habitat that appears to be suitable for breeding anhingas. The cursory survey conducted during 2018 suggests that the population is well established and much larger than previously appreciated. Anhingas appear to be expanding their breeding range north on a rapid pace.